Trust Sale! No court confirmation required on this immaculate 1949 Traditional home reminiscent of the joys of childhood. 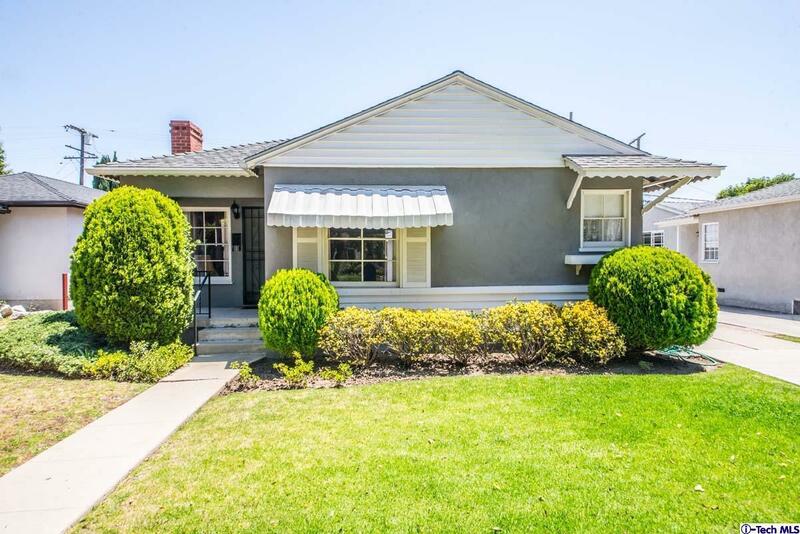 Step into this lovely 2 bedroom, 1 bath home with its many original features. Offers: A formal living room with fireplace, dining area, bright kitchen with breakfast area, service porch with built in pantry and broom closet, 200 amp electrical panel and tankless water heater. Includes: original kitchen tile, wood windows, covered front porch. Spacious R2 lot boast a covered patio and a 2 car garage with auto door.